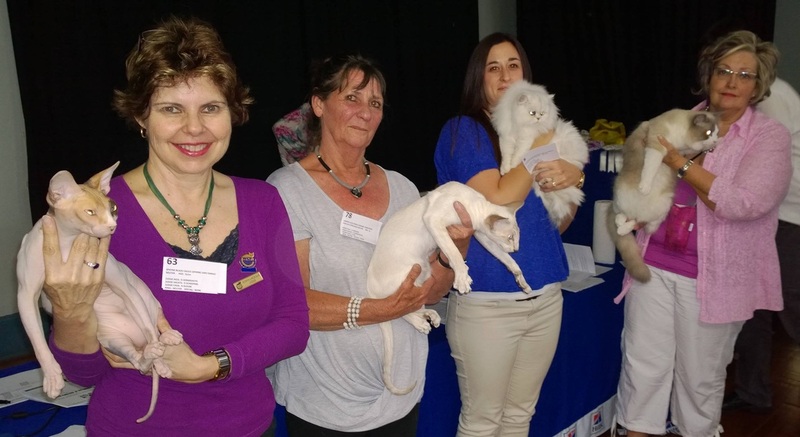 On Saturday 27 November, AICA joined forces with the SACATS breeders group and CASA for another 3 show event. The venue was the Durbanville Town Hall, where we always have a lot of visitors. We were privileged to have tw0 visiting judges from Gauteng, joining our local judges. Hills and Cats Best sponsored the prizes and the Hills representative provided lots of information during the day. The SACATS show ran at the same time as the AICA show. The stewards and exhibitors did a sterling job and everything went smoothly, thanks to our ever efficient secretariat table. Escom's load shedding left us in the dark in the afternoon and necessitated flash photography of the winners, resulting in lots of eye reflections. Please accept our apologies for this.